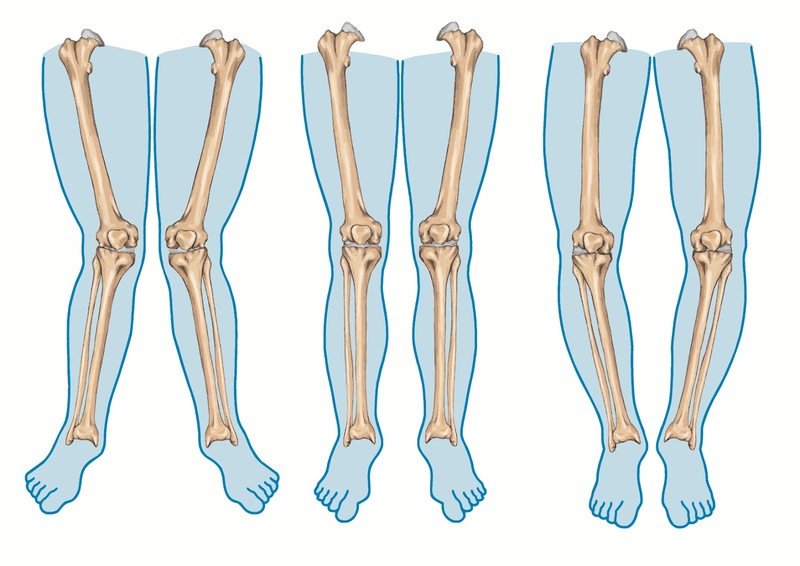 Bow legs or curved legs is caused by the bending of shin - and thigh bones. This condition leads people to many physical discomfort and psychological problems. This is one of the main reason for arthritis development in many people. Because of the curved shape of bones, an uneven pressure happening onto the inner and outer parts of the knee joints, and leads to arthritis and also leads to knee pain. By surgical methods, doctors can make the alignment proper, which helps to correct the bio mechanic axis to allow the pressure equally be transferred onto the knee joints. 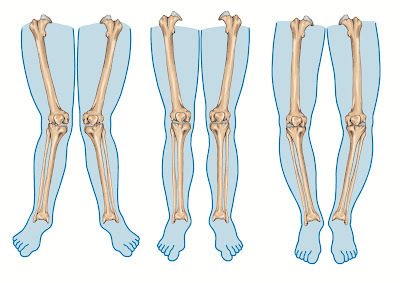 The bio mechanical axis of the leg is considered as shown in the figure given below. That is, the head of the thigh-bone, the middle of the knee-cap and the first span between the foot fingers. Bow legs correction in Chennai, at Knee And Shoulder India, is fast and affordable. Our clinic provides best treatment for bow leg correction in Chennai. The correction of bow leg is not restricted to medical grounds only, it is also performed for cosmetic purposes. How much does it cost for bow leg correction ? How long is the treatment process?